Divorce can have a lasting impact on the lives of everyone who is involved. At Lerner Poole, our family law lawyers have a combined 50 years of experience assisting individuals throughout the Bay Area. Our firm uses a sophisticated approach in protecting our client's interests with regard to all aspects of divorce, including child support, child custody, high asset community property disputes, and complex family law matters. We understand that divorce can be a disruptive process, and we aim to help clients maintain their sense of normalcy. Our principals are both certified Family Law Specialists with AV Preeminent ratings by Martindale-Hubbell. Esther R. Lerner holds a master's degree in educational psychology and was recognized by Super Lawyers magazine (top 5%). Stacey Poole possesses a master's degree in tax and is also recognized by Super Lawyers magazine. We draw upon our education and experience to understand the emotional and financial conflicts that accompany many divorces. Our San Francisco family law attorneys also rely on a wide network of financial and mental health professionals when appropriate for our clients. The California divorce process can be complex and challenging. Either spouse may ask the court to end the marriage, and the court can grant the divorce or legal separation even if the other spouse does not agree. A divorce can be uncontested or contested. Often, spouses agree on some issues, but not on all of them. When this happens, they can bifurcate the issues and ask for separate proceedings as to any matters on which they cannot agree. For example, they can have a trial concerning only child custody and visitation, or a trial only on the validity of a prenuptial agreement. Disagreements about how to divide property can make a divorce more acrimonious. Over the course of their lives, California spouses usually accumulate a combination of community property, separate property, and possibly quasi-community property. Sometimes the characterization of certain pieces of property depends on resolving complex issues like the source of the funds or the potential commingling of separate property. Our family law attorneys can help San Francisco residents and others make sure that their voice is heard during this process. Community property in California is generally defined as all property, with certain exceptions, that is acquired by a married person during the marriage while the spouses have their domiciles in this state. This means, for example, that your spouse owns half of your regular income from a job, even if the earnings are kept in a separate account with only your name on it. Quasi-community property is property acquired during your marriage, but in another state before you moved to California, and is treated similarly to community property. Separate property largely consists of assets you acquired before the marriage or after a divorce, or that you acquired as a gift or inheritance during the marriage. This is typically not divided when the marriage dissolves. 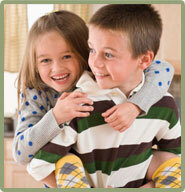 Disagreements about child custody can also add a layer of complexity and emotional difficulty to a divorce. The most important consideration when determining child custody for California courts is what is in the best interest of the children. The factors that a court assesses when evaluating the best interests of the children of a divorcing couple may include their age and health, which parent has been the primary parent in their lives, how much time each parent spends with the children, the distance between the parents, and their ability to care for the children’s needs. California courts will try to make sure that the children’s lives are not overly disrupted by the divorce, often by keeping conditions in place that closely resemble what the conditions were before their parents parted ways. In general, assuming it is not against a child's best interests, a child who is 14 years old or older is permitted to make his or her wishes as to custody and visitation known to the court, although other factors will be relevant to the ultimate custody decision. Family law proceedings in the Bay Area can be challenging on many levels. However, the compassionate divorce attorneys at Lerner Poole can offer knowledge, dedication, and extensive experience to residents of San Mateo County and the surrounding areas. We will take the time to address your financial and emotional concerns about all aspects of the proceedings. You can contact us at 415-391-6000 or via our online form to schedule an initial consultation to discuss the details of your situation. Our San Francisco family law lawyers represent clients in a number of local communities, including Burlingame, Redwood City, and Menlo Park. 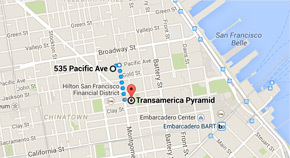 Our office is located 2 blocks away from the Transamerica Pyramid building.